Bull Elephant, Moremi Game Reserve, by Dan Hopkins. Grass Track Safaris. 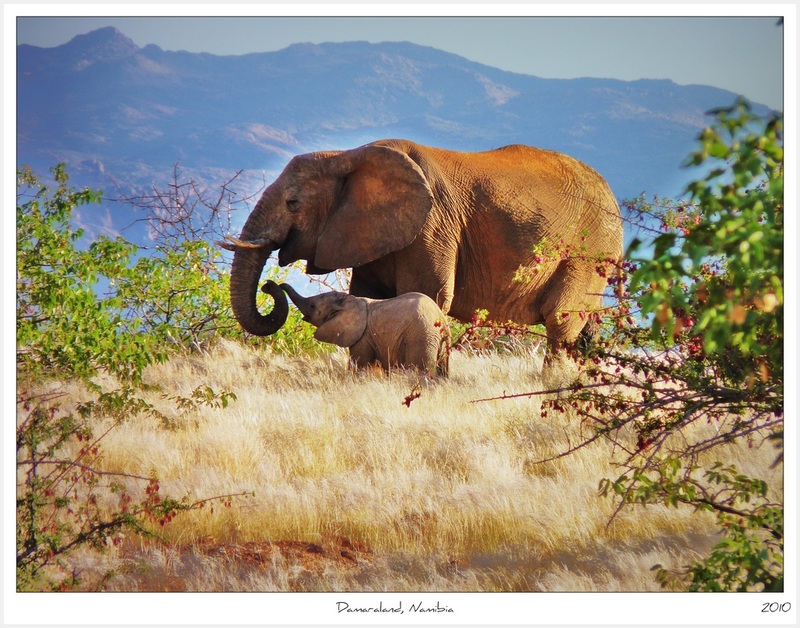 African Elephants The dramatic slaughter of hundreds of elephants in Cameroon in 2012 was the inspiration for Animal Mama. 200+ elephants killed en masse seemed unthinkable at the time, but the sad reality is that about 100 are killed every single day in different parts of Africa. Why? Gangs of highly organized and heavily armed criminals and terrorist organizations are slaughtering elephants because they get paid handsomely for the tusks that they supply to Asia for the production of jewelry, art work and even chopsticks. It is an incredibly complex situation. Here is a comprehensive overview of the dramatic and all-too-real story created by 96 Elephants. But is it not just Asia, the U.S. is a consumer of ivory as well. If you are a U.S. citizen and you are reading this, what can you do? Please visit Elephants DC below. 96 Elephants An initiative of the Wildlife Conservation Society, giving a number to and conveying the great urgency of halting the slaughter that happens on a daily basis. Amara Conservation Founded by Lori Bergemann: Education for Conservation in Kenya. Amboseli Trust for Elephants In 1968, Cynthia Moss moved to Africa to study elephants and she found ideal conditions in Kenya's Amboseli National Park. Over forty years later her work is the longest-running study of wild elephants. Big Life Foundation Started by photographer Nick Brandt in 2010 after his photo shoot resulted in some epic and unforgettable photos, then he learned that many of the majestic elephants in the photos had been killed by poachers. Burn the Ivory An organization that believes that only burning ivory stockpiles will ensure that illegal ivory cannot be laundered into the system, fueling the continued slaughter of elephants. Burn the Ivory is a program of Oregon-based Nomad Charities, which was started by a team of sisters. Elephant Action League (EAL) Founded in California by Andrea Crosta, in February 2014 EAL also launched WildLeaks, the first secure platform for wildlife and forest crime whistle-blowers. Elephants DC Change starts locally and what we do here in the U.S. has a huge impact on the rest of the world, both in terms of what we consume and what we do to stop our abusive consumption! ﻿Elephant Voices﻿ Joyce Poole has studied the social behavior and communication of African elephants for over thirty five years and has dedicated her life to their conservation and welfare. Forever Elephants California-based organization founded by Steve McNallen. Ivory for Elephants "Leveraging the Power of Media to Save the Elephant." iWorry A Campaign of the David Sheldrick Wildlife Trust. The DSWT works on the frontline of the battle to save elephants. Jumbo Foundation An orphanage in Malawi for baby elephants left alone because their mothers were poached. Let Elephants be Elephants Well said! Co-founded by TV host Nadya Hutagalung and elephant expert and author Dr. Tammie Matson, Let Elephants Be Elephants (LEBE) is committed to raising awareness about how the consumption of ivory in Asia is decimating elephants. ﻿Save the Elephants﻿ A UK registered charity operating in Kenya with a stunning website and comprehensive action plan. Tusk A UK-based organization, with an office in the U.S., that has support from the Royals. Elephants for Africa founded by Dr Kate Evans, this became a registered charity in England & Wales in 2007. Dr. Evans works in Botswana, the country that has the largest remaining wild elephant population. This species with three subspecies, ranges from India to Borneo and is the victim of severe habitat loss. Although is is primarily African elephants who are hunted for their tusks, Asian elephants are as well, although female Asian elephants usually lack tusks. More on this to come. A Future with Elephants An Australian organization that is undertaking various projects to protect Asian Elephants. Elephant Family A UK-based group that is working to protect Asian elephants and their habitat. Save Elephant Foundation Founded by a Thai woman named Sangduen "Lek" Chailert, whose passion for elephants began when her grandfather received a baby elephant as payment for saving a man's life, and that elephant became her friend. The names can be confusing since these two species are not white and black; they are both shades of grey. The white rhino is much larger than the black rhino and has a flat, broad mouth, whereas the black rhinos has a more pointed mouth. There are two subspecies of ﻿﻿white rhino﻿﻿: the southern and the northern. Once abundant in vast areas of Sub-Saharan Africa, the northern white Rhino is now extinct in the wild and only 7 remain in captivity. Currently efforts are being made to breed the last remaining northern white females with a southern white male at the Ol Pejeta Conservancy in Kenya. The southern white rhino population is thought to be approximately 20,000, making it the most abundant subspecies left on the globe, and lives almost entirely in South Africa. The race is on to protect the southern white rhino as the demand for rhino horn for "medicinal" purposes in Asia continues to escalate. There were four subspecies of black rhino, but the West African subspecies, or western black, was declared extinct very recently. The remaining subspecies are the south-central, south-western and east African. All are under extreme threat of poaching for so-called "medicine" demanded in Asia and in total there are thought to be approximately 5,000 black rhino left in the wild. The Indian, or greater one-horned rhino, once existed in abundance in a massive range on the Asian continent, but now exists only in several protected areas in India and Nepal. There are thought to be about 3,000 one-horned rhinos left in the wild, with most of these in Kaziranga National Park in north-eastern region of India, in the state of Assam. Assam shares borders with Bhutan and Bangladesh. A smaller cousin to the Indian rhino, only a few dozen Javan rhinos still exist in Ujung Kulon Conservation in Java, Indonesia. The smallest and hairiest rhino, the Sumatran, is also nearly gone with fewer than 100 believed to exist on the Islands of Sumatra (Indonesia) and Sabah (Malaysia). Habitat loss and poaching have nearly decimated Asian rhinos. International Rhino Foundation Based in Texas, this group states that more than 85% of the funds it raises go to field programs in Africa and Asia. Save the Rhino A UK-based charity that was formed in 1994.
International Anti-Poaching Foundation Wildlife conservation through direct action. Check out the TED talk by founder Damien Mander here.